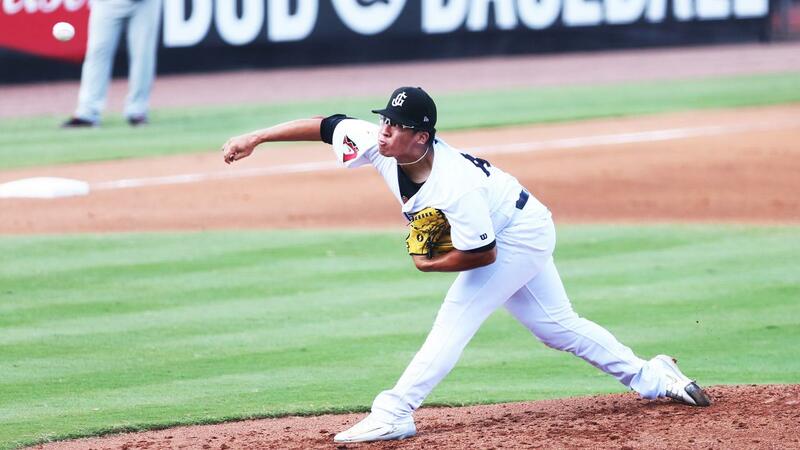 MONTGOMERY, Ala. - The Jackson Generals, the Double-A affiliate of the Arizona Diamondbacks, used strong starting pitching and an offensive breakout in the seventh inning to win Game 5 of the North Division Series 11-7 over the Montgomery Biscuits on Sunday. The triumph at Riverwalk Stadium propels the Generals (3-2) into the Southern League Championship Series for the first time as a Diamondbacks affiliate and the second time in three years. Faced with a win-or-go-home finale in a series tied 2-2, Jackson right-hander Bo Takahashi (1-0, 3.38 ERA) started for the visitors and turned in 5 1/3 innings with only three hits and two earned runs allowed. After allowing a two-run homer to David Rodriguez in the bottom of the second, Takahashi retired 10 of the next 13 hitters to carry the Generals into the sixth inning with a 6-2 lead. A one-out RBI double by Brett Sullivan would shoo Takahashi from the hill, but he finished with four strikeouts and one walk on 70 pitches. Michael Blazek entered in relief, finishing the inning with a strikeout that stranded a pair of Biscuits runners. After Blazek exited in the seventh, Ryan Atkinson, Miguel Aguilar, and Kevin Ginkel pitched the final 2 2/3 innings without giving up an earned run. The Generals bullpen pitched multiple scoreless innings in each of Jackson's three wins during the North Division Series, helping to hold the middle third of Montgomery's lineup to a combined 0-for-10 mark in the finale. Jackson's offense hit with a sense of urgency, plating runs in the first, second, and third innings to chase both Brandon Lawson (0-1, 27.00 ERA) and Matt Krook from the mound. Holding a four-run advantage, the Generals went quiet until the sweet-swinging seventh, batting around while pushing five runs across home plate. Run-scoring hits from Rudy Flores, Evan Marzilli and Kevin Medrano powered the Generals to an 11-3 stronghold, marking the first time Jackson scored ten or more runs since a 20-8 win over Mobile on July 15. Marzilli, Medrano, Dominic Miroglio, Jay Gonzalez, and Josh Prince all came away with multi-hit games, as Medrano, Miroglio, and Domingo Leyba all drove in multiple runs. The series victory is the Generals' sixth in a row, dating back to August 12th against Chattanooga. All six series featured North Division opponents. In the Southern League Championship Series, the Generals will square off in a best-of-five series with the South Division champion Biloxi Shuckers, whom they faced nine times during the regular season. The Generals went 4-5 against the Shuckers, though they won three of the five contests at The Ballpark at Jackson. Games 1 and 2 of the Southern League Championship Series will be held on Tuesday, September 11, and Wednesday, September 12 at The Ballpark at Jackson, with first pitch set for 6:05 pm CT each night. Fans can purchase tickets for Game 1 and Game 2 by following the respective hyperlinks included at the top of this release. The Ballpark at Jackson - Jackson, Tenn.